When Socrates, Plato and the gang had their dialogues about the inner essence of beauty, truth and justice, while hanging out at the farmers market in downtown ancient Athens, they had no idea of the problems they would create for urban agriculture 2500 years later. Unfortunately, urban agriculture is still all Greek to many city planners. That might seem like a stretch, but give me a chance to make my point. The ancient Greeks established the pattern of looking for absolute and universal Truth in the singular. The simplest way to see the legacy of this tradition in today’s thinking about food is to look at all the single-minded words. Think of such commonly used expressions as food policy, food strategy, food culture, local food, sustainable food, alternative food, and urban agriculture. Not much pluralism, plurals or variation here!! We betray the Greek origin of western styles of thinking every time we use the singular to discuss potential options with regard to the abundance of foods and food choices that urban lives and modern technologies provide (please note my use of the plural). So, for example, we have city discussions about the need for a city policy on urban agriculture, instead of city discussions about the need for city policies to support various forms of urban agricultures. The ancient Greek philosophers, despite many wonderful ideas they developed, were hung up with locating the one and only essence of things — an abstraction that was independent of the ups and downs of momentary appearance. They didn’t like messy realities because they were too messy, and left that world to slaves and women. That tradition is still alive and unwell, as the low wages and standing of agricultural and food preparation work shows. The jobs that pay well are jobs removed from messy realities. Likewise, to this day, a narrow and absolutist mindset straitjackets our thinking about food policy in cities. To wit, the way cities agonize over a policy (note the singular) for urban agriculture (note the singular), rather than a suite of policies (note the plural) to help as many who are interested, for whatever reasons (note the plural), be they love or money, to eat foods (note the plural) they have grown or raised or foraged in varieties (note the plural) of spaces (note the plural) — from front yards, to back yards, to green roofs, to green walls, to balconies, to windowsills, to allotment gardens, to community gardens, to beehives, to butterfly gardens, to teaching and therapeutic gardens, to edible landscaping, to soil-based, hydroponic and aquaponic greenhouses, to vacant lots, to public orchards, to community composting centers, to grey water recycling for lawns and gardens, to formally-sited farms and meadows. That fact is that “urban agricultures are what they are,” and city governments in different areas should embrace many of them. Of course, public authorities need to practice their usual due diligence in terms of personal and public safety, but the emphasis of policy should not be on toleration or permission, but management and stewardship of the health, environmental, community and economic yields of urban ag. This is in marked contrast to the present mode of civic management over urban agriculture. City food planning advocate Janine de la Salle, who has the fortune to work in Vancouver, which is an exception to the rule, describes the norm as one where officials need a wake-up call because they’re managing urban agriculture in the same passive way they manage sleep, another essential of life. 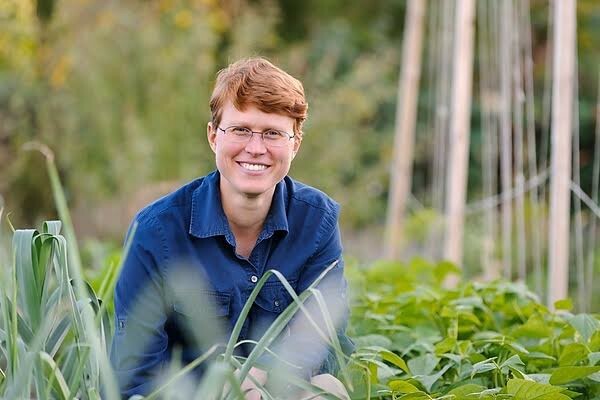 Like sleep, urban food production is treated as “necessary, but not meant to be regulated or managed in any meaningful way,” she writes in her chapter in the book Cities of Farmers. That nice little dig (there are many ways to dig in support of urban agricultures) brings me to the business at hand in this newsletter, a review of three fairly new resources (two books, one assortment of essays) on urban agriculture — each of which sheds a distinctive light on the growing possibilities of urban food production. 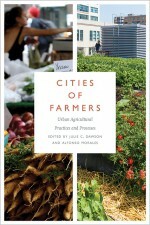 The best to begin with is the collection edited by Julie Dawson and Alfonso Morales, called Cities of Farmers: Urban Agricultural Practices and Processes. It sets the stage. The breakthrough of the book, in my view, is that it doesn’t ask the ancient and unanswerable philosophical question about “what is urban agriculture.” Instead, it asks the more pointed and fruitful question: what do urban agriculture projects do. The book’s answers (note the plural) form the most comprehensive overview yet of how the “multi-functionality” of both agriculture and food can generate the many benefits that urban agricultures bestow on cities. Producing food may well be the least accomplishment of urban agriculture, though that extra food can really make a difference for people on low income. But the crop itself is only one contribution on a long list that includes enhanced public safety, community vitality and cohesion, neighborhood place-making, skill development, food literacy, garbage reduction (through composting) and green infrastructure. As I used to put it during my working days at the city of Toronto, the success of all forms of food activities, including urban agricultures, rest on the economies of scope, not the economies of scale. Therein lies the key to measuring true productivity, and when we understand why that breakthrough method of measuring progress in food matters, we will come to see the potential of totally different methods of managing and incentivizing food activities. HOW DO YOU GET TO GARDEN AT CARNEGIE HALL? PRACTICE!! This essay is fundamental to anybody who want to make the journey from food policy to implementation of new food practices. I never had a policy of brushing or flossing my teeth after a meal. But sometime before I remember, I learned the practice of brushing my teeth — though I learned the wrong practice that was standard in my day, of scrubbing up and down and side to side, not gently brushing up or down from the gums to prevent gum damage. Unfortunately, I didn’t get the practice right in time to save my gums from painful and expensive dental work, which also instilled in me the practice of flossing. At this point, flossing is no longer a policy decision I make, but a practice I follow “automatically.” That norm of “practice” is one followed by people who practice anything from medicine to yoga, and we now need to normalize it in good food practices. As medicine, yoga, Cohen and Wijsman make clear, policy is the servant of practice, not the other way around. Their essay reviews how New Yorkers went from policy advocacy to practices that implemented community gardens. They not only normalized community gardens on the most expensive real estate in the world, they incorporated forms of urban agricultures into the basic infrastructures of a city — from green roofs and walls to green paths and street greenings that manage stormwater. The gardening version of pilgrims’ progress in New York City has been as much about advancing practices as policies, Cohen and Widjsman argue. Practices need to become the lens for people who seek meaningful changes in food or any systems. 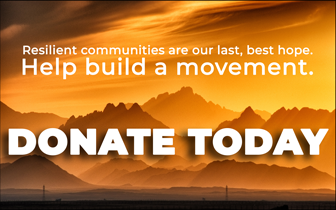 Developing such communities is the way we build vehicles for food system transformation, just as people who practice yoga or medicine or meditation work their changes. When you have finished this book, you will be mentally ready for the latest practices from one of the master practitioners of organic food production. Michael Ableman is one of the preeminent growers, photographers, speakers, writers and entrepreneurs produced by the global organic movement. 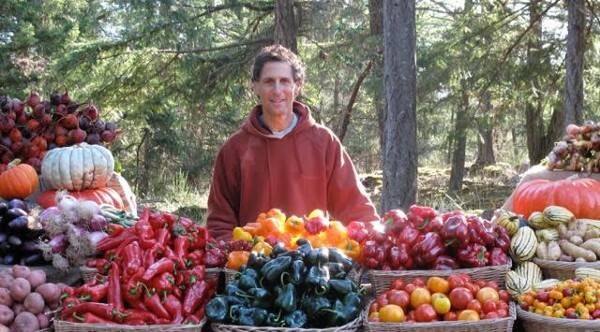 He was able to bring all these mature skills and practices to the most delicate, fragile and responsible project of a lifetime — cultivating the skills and practices of 25 employees from Vancouver’s notoriously drug-ridden Downtown East End to the point where they tended five acres on four beautiful and productive food gardens. Urban agricultures don’t get much grittier than this. 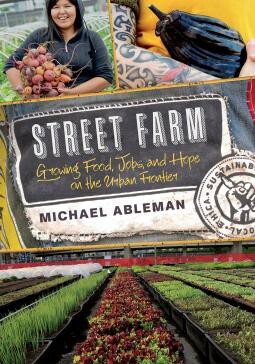 Ableman’s book, Street Farm: Growing Food, Jobs, and Hope on the Urban Frontier, tells the story. If urban agricultures can accomplish something akin to that, city gardens can produce something every bit as essential as food. This is what people-centered food policy is about. 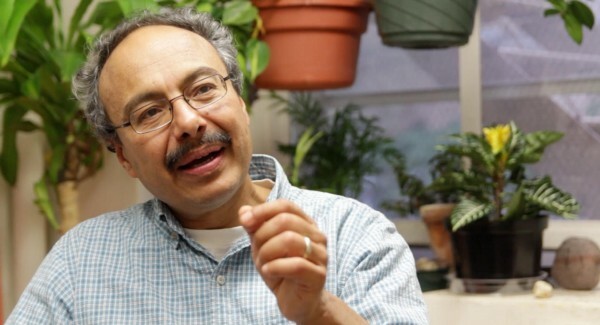 Devoted organic grower and foodie that he is, Ableman digs the people-centeredness of this urban agriculture project. Employing and enabling the neighborhood farm workers is the mission of the street farm, he writes, citing the Japanese farm philosopher Masanobu Fukuoka who insisted the “ultimate goal of farming is not the growing of crops, but the cultivation of human beings.” He came to regard his fellow workers as “farmily.”That does put urban agricultures in context, and explains why land-use policy for urban agriculture deserves to be classified as among the “highest uses” of urban land. Ableman also understands that urban agriculture is not just rural agriculture in a city. It sometimes has to be adapted in stark ways. He came to understand, for example, that a paved parking lot was an ideal foundation on which to build, and that the best way to grow was in some 5000 wood and plastic bins (almost 10,000 at the time of this writing), which can be moved when a lease or a welcome run out. Does Abelman see urban ag as another way to bring art to the people? He also understands the centrality of partnerships and of champions on city staff to his success; they are the city farmer’s environment, as important and immediate as nature is to the rural farmer. At one point, he even argues that the crisis of global industrial agriculture is, above all, “a crisis of participation” — which distances people from their food as much as the 5000 mile trip that Asian rice takes to a plate on the eastern seaboard of the Americas. Ableman’s understanding of the centrality of engaging the human side of food production (should we call it human-centered food policy?) 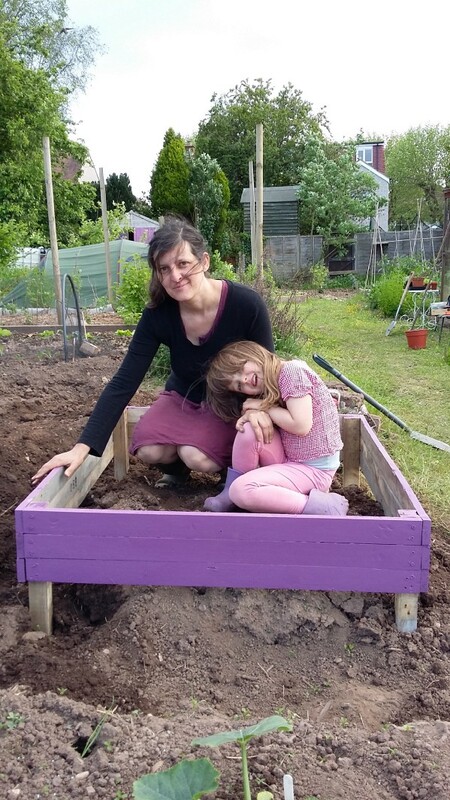 is the segway to the third body of work considered in this newsletter on urban agricultures — the work of Chiara Tornaghi at Coventry University in England. 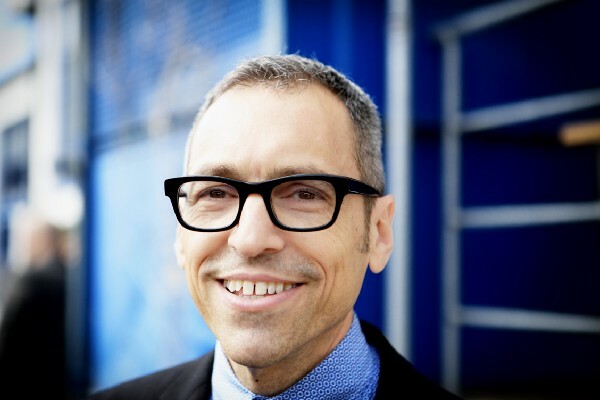 Tornaghi’s work is accessible in a variety of places — including one article on how to set up an urban ag project, and one piece on the critical geography of urban ag, and one study on urban ag and the politics of empowerment, and one report on gardening activism, as well as a publication on European urban agriculture. She’s pretty much out there, with phrases such as “insurgent urbanism” and “politics of engagement, capability and empowerment,” along with references to the commons, metabolism and other clues that Tarnaghi has spent as much time in obscure sections of libraries, as in gardens. At the very least, she is refreshing. People concerned about the runaway rates of mental ill-health among young people cannot ignore what she has to say about addressing human needs to work directly in nature — and thereby counterbalance the highly built, urbanized, synthetic, abstracted, impersonal, mediated and corporate-controlled environment of dense cities. In my view, this mental health and well-being perspective is the most urgent and compelling reason for city planners and managers to listen up on the subject of urban agricultures. By contrast, Tornaghi’s is a direct action call to meet with your neighbors, find a place to stand, dig in, and get your hands in the dirt. It deals with justice not just as a distributive matter — how to divvy up the harvest so the one per cent don’t get almost all of it and the poor get little — but a capability matter: the right of people to develop their capacities and not have to settle for a consuming life that renders us spectators of our own lives. You shouldn’t have to leave the city to get in touch with your deeper self. Tarnaghi’s is a shout-out to go beyond the civic benefits that urban agriculture provides a city to the human benefits food production bestows on that undomesticated “gardener” and “forager” part of our inner being, brain, mind and soul. If that is not well, then life in cities cannot be good. Although there is huge wisdom in the clichéd phrase about “we are what we eat,” we now need to recognize that we are just as much what we forage and grow and make. We are also what we grow and produce. We evolved to eat in certain ways, and we also evolved to feed ourselves. The two are inseparable. The two were severed by industrial agriculture, which turned most eaters into consumers. Now we need to heal that breach. Urban agriculture is the ultimate offering that food makes to people in cities — not what has long been considered the punishment of hard labor, meted out to humans as penalty for their sins, but what is really food’s greatest gift — the opportunity to engage and participate in the labor as well as the joys of meaningful work. 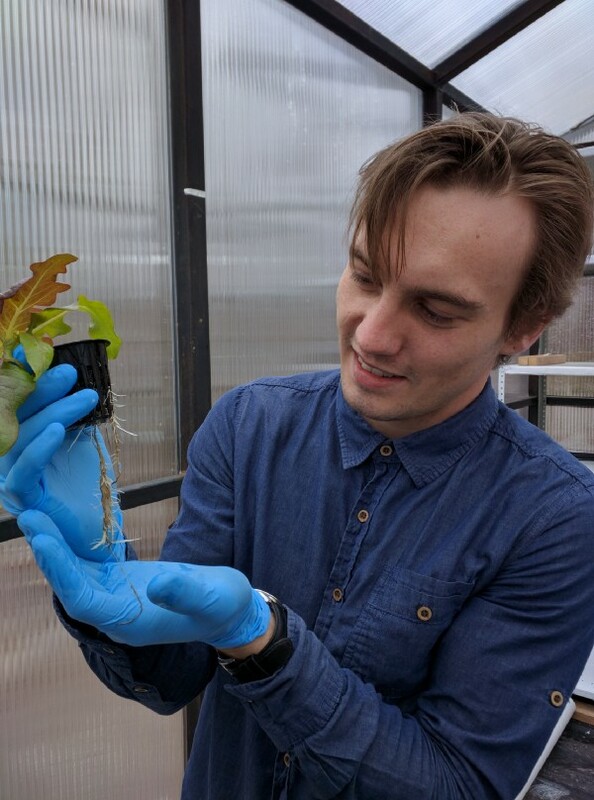 I’m look for a fourth book to round this picture out, a book that captures the energy of a new generation of city farmers who are growing salad greens in freight containers repurposed as greenhouses. They can fit into any number of small places and provide conditions for growing fish (aquaponics) and greens (hydroponics), together or separately. Like Steve Bourne and Brandon Hebor of Ripple Farms in Toronto, these ecopreneurs repurpose old freight containers, rescuing them from landfill, outfit them with grow lights and containers for fish and plants, and locate them in an out-of-the-way but accessible space (in this case, just by the parking lot of the popular Brickworks farmers market) where the 100 yard diet applies to producers and shoppers. 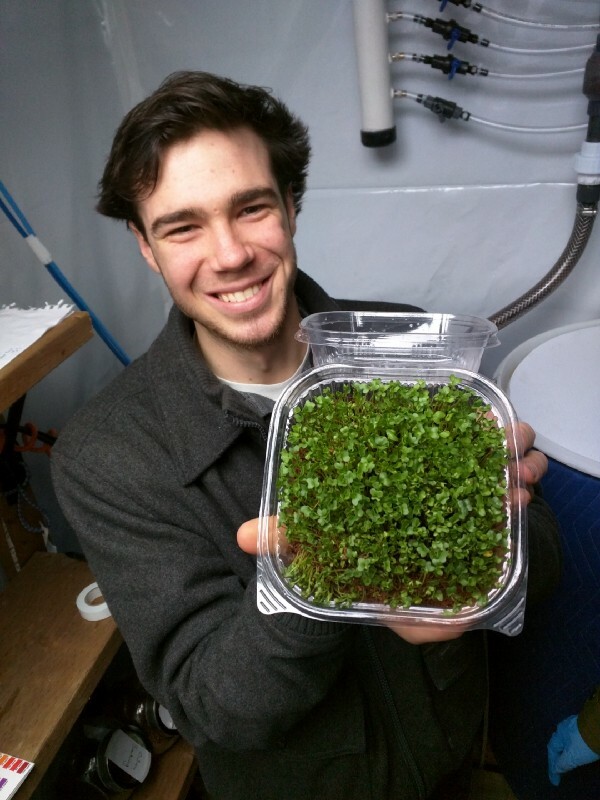 They can grow microgreens and fish, and they can grow micropreneur jobs by the tens of thousands — with a potential for each micro-green micro-business to supply one farmers market, or one food truck, or one school meal program, with fresh-grown greens and fish from the neighborhood. Talk about a disruptive business model that will affect the way people can access ultra-local fresh greens and fish for 12 months of the year!!!!! They’re so close to their customers, they don’t even need to call Uber for deliveries! Indoor ag is just one of the many ways that the many forms of urban agriculture can benefit cities. There are many more to put in the urban ag bucket list.